What some people have woefully failed to understand is that the order from Nnamdi Kanu on election boycott is not entirely born out of his personal decision, but out of the general will of all who have seen that the road of Nigeria leads to nowhere. 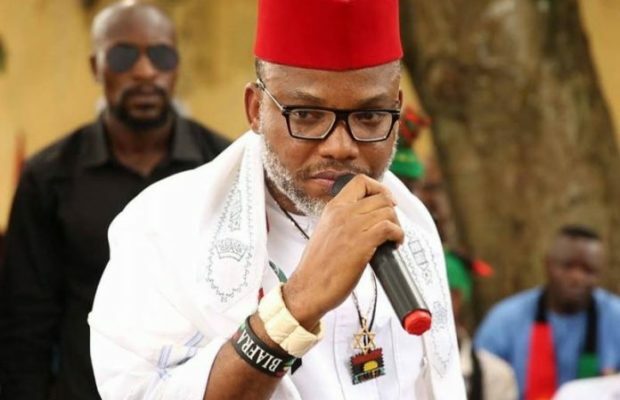 This is why when Southeast governors and political elites started mounting heavy pressure on Nnamdi Kanu to relax his order on election boycott, especially that of Anambra state, the IPOB leader wisely told them that they should wait while he relate their plea to Biafrans(IPOB), because he did not send himself, but is just an embodiment of the general will of Biafrans. Nnamdi Kanu knew that any drastic decision taken at that point in time would be tantamount to betrayal of the highest order. But Nnamdi Kanu never got back to them, because just as he left them, they conspired and sent a Dancing Python after him and even shamelessly proscribed IPOB. Now election is around the corner, and these same political vampires have unleashed their e-warriors to coerce IPOB members into disobeying the last instruction of their leader before his enforced disappearance. The question is: How can the same people you proscribed vote for you? Oh! Suddenly they have all realised the huge political influence and importance which IPOB possess, yet they conspired and tagged same wounded people a terrorist group. What a brazen exhibition of apex insensitivity and foolishness! The truth remains that even If Nnamdi Kanu had dabbled into Nigeria politics with IPOB, so many of his supporters, including myself would have since lost some level of faith in him. The Nigeria political arrangement is designed to suppress and suffocate any genuine or selfless political ambition. Goodluck Jonathan failed, not because he is as horrible as Buhari, but because he got himself surrounded by wolves in sheep's clothing, and perhaps he was too ignorant with his vision-assassins. The decision to swim in the dirty water of Nigeria politics was the greatest undoing of Ralph Uwazurike; It is the greatest undoing of the so called Ohaneze Ndi Igbo; and it will still be the greatest undoing of those who think that they can achieve restructure of Nigeria through their PVC and consistent attacks on IPOB modus operandi. We may never get it right so long as our people continue chasing rats while their house is on fire. "Unity is supreme," my wonderful friend, Agha Egwu once said(although his metamorphosis recently have left me in uttermost disappointment). So, any person telling you that Nnamdi Kanu retreated on his order on election boycott or accepted restructuring of Nigeria, just look at that person well... He/she can lie against the dead.